Sajnos ennek a bejegyzésnek csak Slovenčina, Français, Română, Deutsch és All Languages nyelvű változata van. next (All Languages) [en] Signed “Call Me Gray” EP Giveaway: Winners! 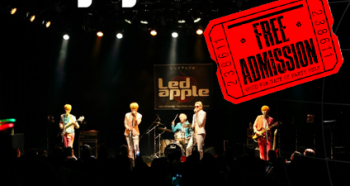 (All Languages) [en][nl] KPOPEUROPE’s CHRISTMAS PRESENT GIVE-AWAY: TICKETS FOR LEDAPPLE! 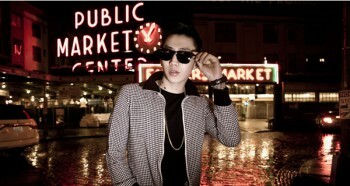 Kpopeurope’s exkluzív interjút Jay Park! (All Languages) [en][de][ro] Zion.T Signed “Mirrorball” Giveaway: WINNERS! Ich kann euch auch ganz genau sagen, warum ich eure Seite so liebe (und in den letzten Tagen auch regelrecht gestalkt habe :D). Ihr berichtet auch über Künstler, die sonst doch eher weniger Aufmerksamkeit in Europa bekommen. Gerade Zion.T, Jay Park und eben auch Gray gehören zu meinen Lieblingskünstlern und ich ärgere mich immer wieder, dass teilweise echt wenig über sie berichtet wird. Auch eure Interviews sind wirklich klasse! Gerade die mit Zion.T, Jay Park und Gray habe ich verschlungen. Insgesamt bin ich echt froh, dass ich eure Seite gefunden habe. Vielen Dank für die vielen interessanten Artikel! Und hey, man kann euch wirklich in ganz Europa verstehen. Ich finde es richtig super, dass die Artikel in mehreren Sprachen verfügbar sind, sodass auch Leute, deren Englisch vielleicht nicht so gut ist, verstehen können. Ich kann mir vorstellen, dass sehr viel Arbeit hinter allem steckt. Hut ab dafür! Nun, warum sollte Gray nach Europa kommen? Ich glaube hier spricht Gray als Künstler für sich. Es ist überaus talentiert, egal ob er auf der Bühne steht, oder auch hinter den Kulissen agiert. Zum Einen denke ich, dass es wirklich toll wäre, wenn es mehr Leute hier in Europa, geben würde, die ihn kennen. Wenn er kommen würde, würde das natürlich auch seine Popularität hier steigern. Und zum Anderen kann sich Gray auch hier zu neuen Songs inspirieren lassen. Und ich glaube auch, dass es ihn freuen würde zu wissen wie viele Fans er hier hat. Fazit, Gray MUSS nach Europa kommen. I think i’m in heaven , i was really hoping to get Gray oppa CD one day and you surprised us by doing this fantastic giveaway 🙂 what a great surprise indeed !!! 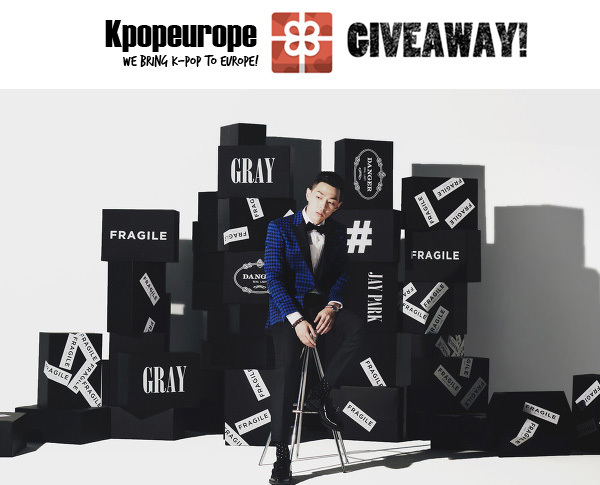 So I’m a big fan of kpop and K-rap/RnB music espacially Gray, Crush, ZionT …etc and this is a great opportunity for me to win his awesome CD but to answer your question i’ll be jealous to know that Gray willbe in Europe someday , since i’m not from europe i’ll answer eitherway , so Europe need to have artists from all around the world , that’s why GRAY oppa is perfect tohave a concert theirand meet european fans cause i garantee you that he’s pretty much known there andit’s a great chance for oppa to know the other side of the world :p hehe …. 1- Already done2- Thank you very much for this Giveway. You did great job, I’m really proud of you, I appreciate your work, you work so hard and you must to be proud. I love all what you do. The things what I like the most on Kpopeurope are interviews of different artists who make the like K-rap/ K-hiphop/ RnB/K-soul…. and not only idols group. 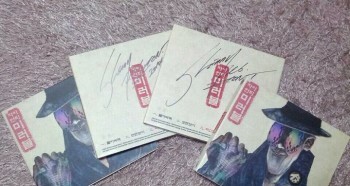 There aren’t lots of website who interview or give the chance to win CDs like artists Jay Park, GRAY, ZION.T…. Artist I listen to the most are Zion.T, Gray, Crush, Elo, Loco, Simon.D, Bumkey, Swings…. And with you I can read interviews about my favorite korean hip hop artists. This is the reason why I stay faithful with you and I’ll stay forever 😉 I’m very happy to know you!!! 3- I’m fall in love of VV:D, I love them so much, and Gray should to come in Europe. He’s a remarcable artist, he’s a compositor, rapper, arranger, lyricist and a producer. He have various talents. GRAY is a nice, funny person and his face we can’t to hate him haha he’s so adorable and it’s that which give his charm. We need artists like him who work hard and give all his possible for satisfy his fans. He makes awesome songs, when I listen his songs I fell free, I fell good. And I think he should to have more and more fans. He should to come in Europe because there are lots fans want to meet him, to see him, to hear him, and Gray should to meet his fans, it’ll be a good experience and I think he’ll be glad, he’ll don’t regret this fabulous experience. 2- Thank you very much for this Giveway. You did great job, I’m really proud of you, I appreciate your work, you work so hard and you must to be proud. I love all what you do. The things what I like the most on Kpopeurope are interviews of different artists who make the like K-rap/ K-hiphop/ RnB/K-soul…. and not only idols group. There aren’t lots of website who interview or give the chance to win CDs like artists Jay Park, GRAY, ZION.T…. Artist I listen to the most are Zion.T, Gray, Crush, Elo, Loco, Simon.D, Bumkey, Swings…. And with you I can read interviews about my favorite korean hip hop artists. This is the reason why I stay faithful with you and I’ll stay forever 😉 I’m very happy to know you!!! 3. Gray should come to Europe, because I know a lot of ppl, who loves him and his music! He’s amazing artist and one of my fav! He should visit some countries here I think. He would be more popular! and a lot of ppl, who know korean music (even they don’t know Gray and his music) would come and would listen to his music!